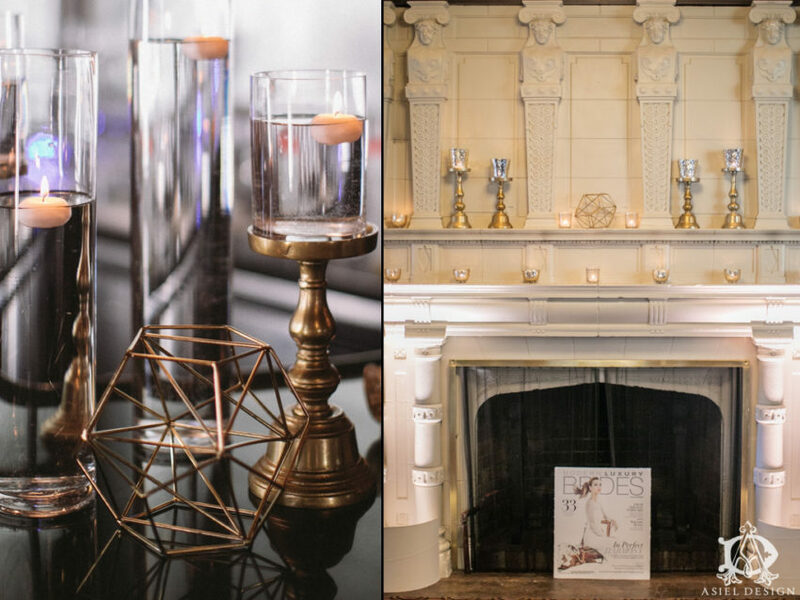 We partnered with Julia Morgan Ballroom to do a reception/cocktail showcase and launch party for Modern Luxury Brides Magazine. 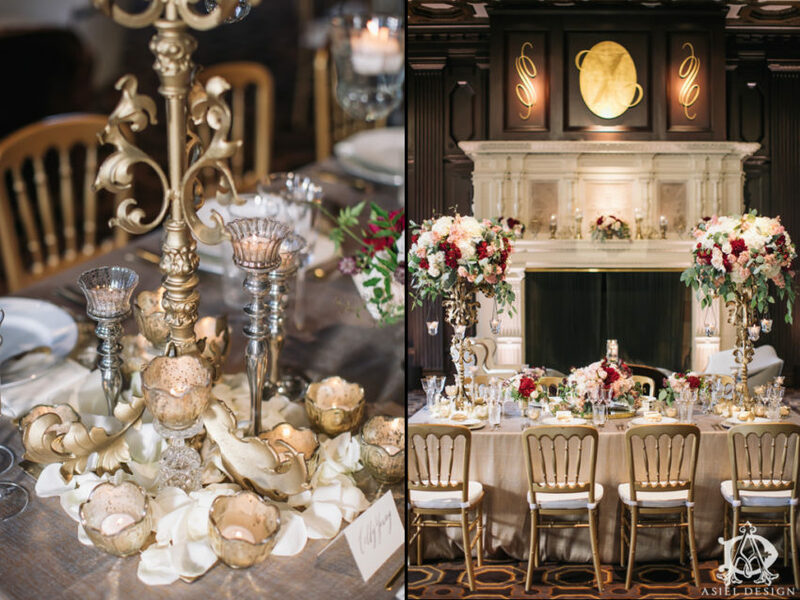 As you will see throughout the photography produced by Clane Gessel, Julia Morgan’s Ballroom was designed with king’s tables, custom lion stands, golden candle sticks, golden trinkets, geometric terrariums, and a variety of tall centerpieces to gather a look and feel for differing tastes of brides and grooms around. 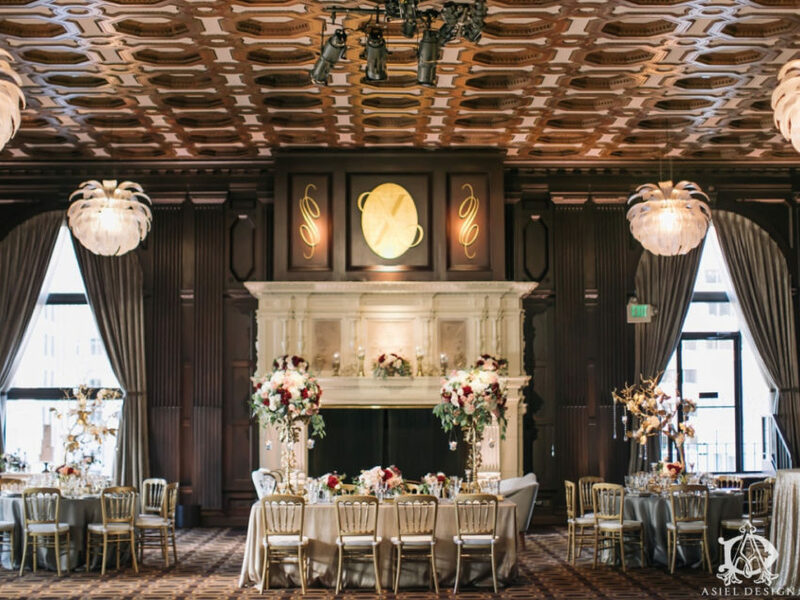 As designers, it was a pleasure to work with the architecture of the Julia Morgan Ballroom. 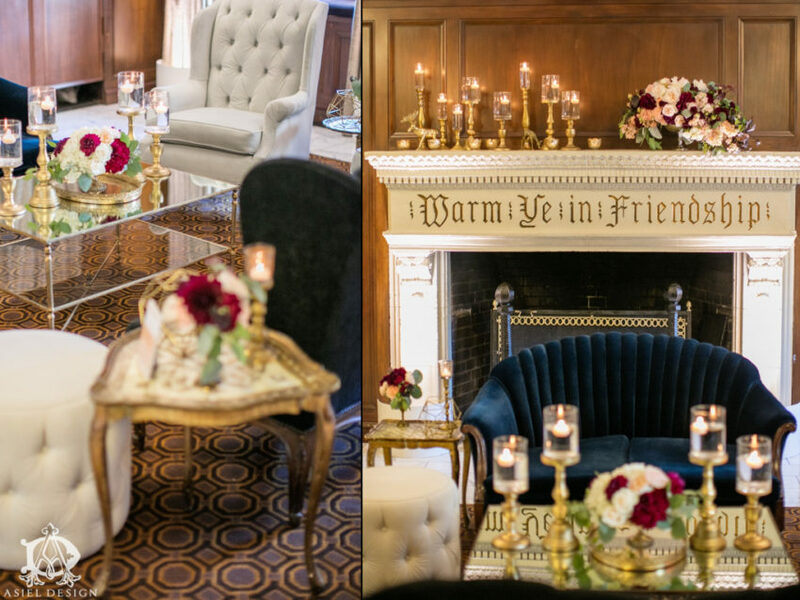 Their oversized fire place was a perfect backdrop to the kings table, accented with tall floral arrangements infused with pinks, to give the arrangement a touch of femininity. The gold lion stands, worked with the architectural features of the building. With this in mind we also decorated the fireplace with geometrical shapes, giving everything in it’s vision a truly modern and sleek feel. 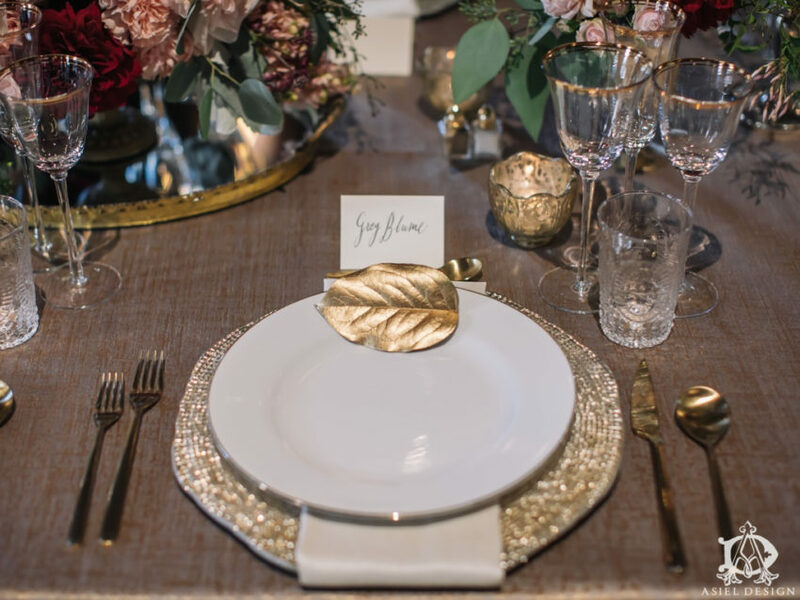 Lounge vignettes provided by One True Love, glassware provided by Standard Party Rentals along with linens provided by Napa Valley Linens worked well together to create a cohesive design. 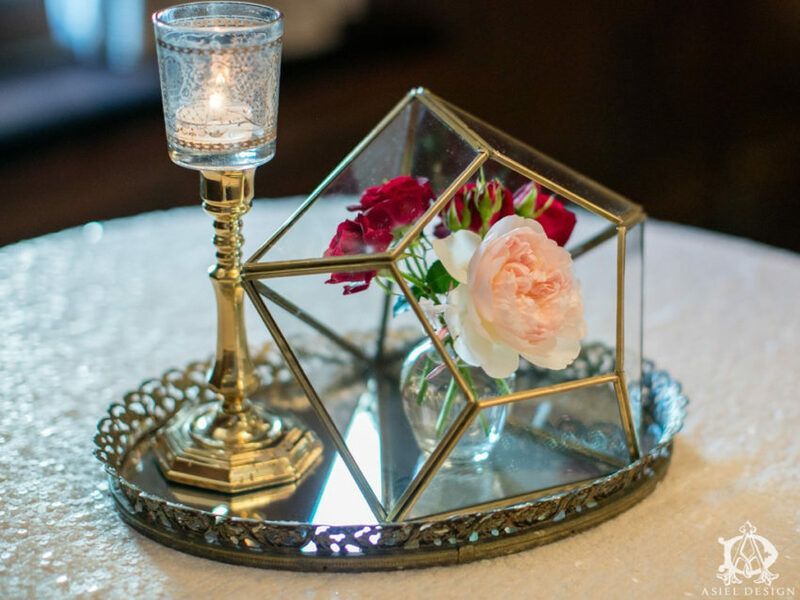 Through out the room were cocktail tables accented with vintage gold trays and geometric shapes. These worked with the guest tables dressed with different tall floral arrangements making the room move visually and tie together nicely. 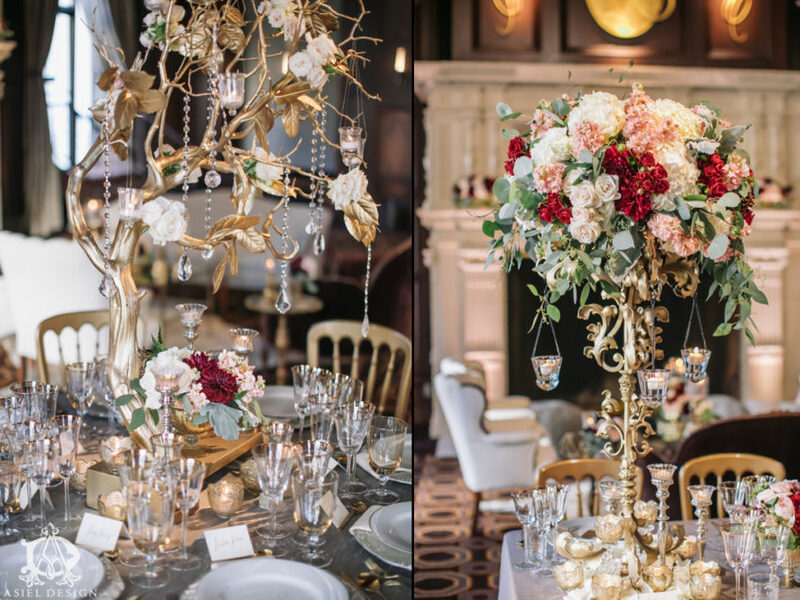 With the tall ceilings in the ballroom we had two tall floral arrangement designs. 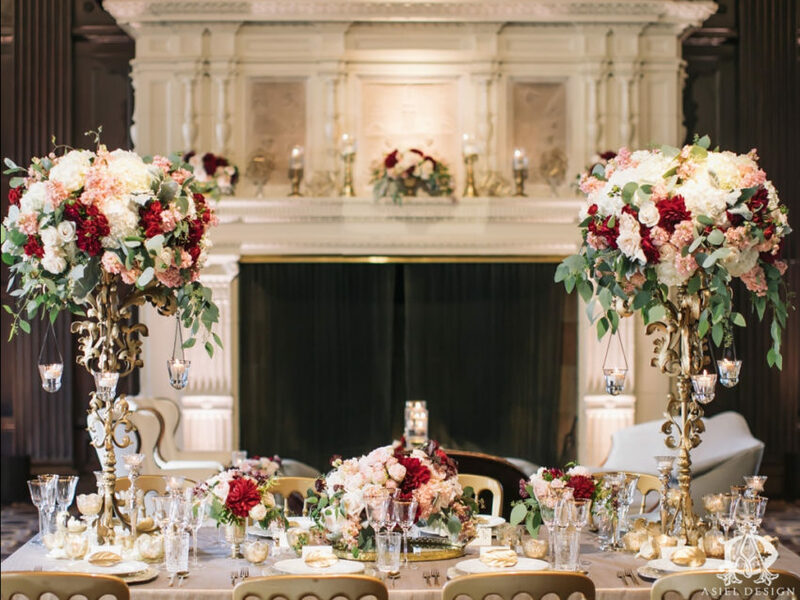 The first design with soft pinks and natural greenery was set on the gold lion stands with rose petals at the base. 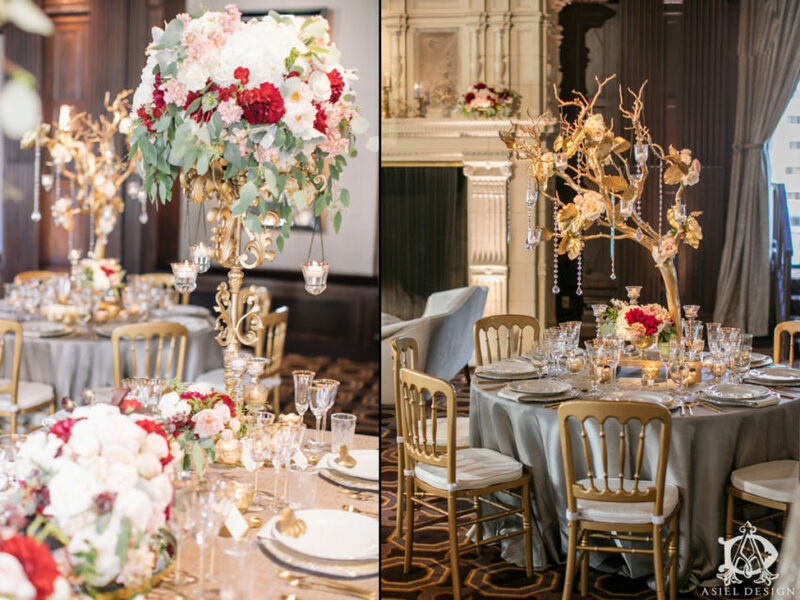 The second design used tall dramatic manzanita trees accented with strands of cut crystals, candles and clusters of fresh florals. JL Imagination enhanced the design with their always impressive lighting talents within the entire ballroom giving a better aesthetic. 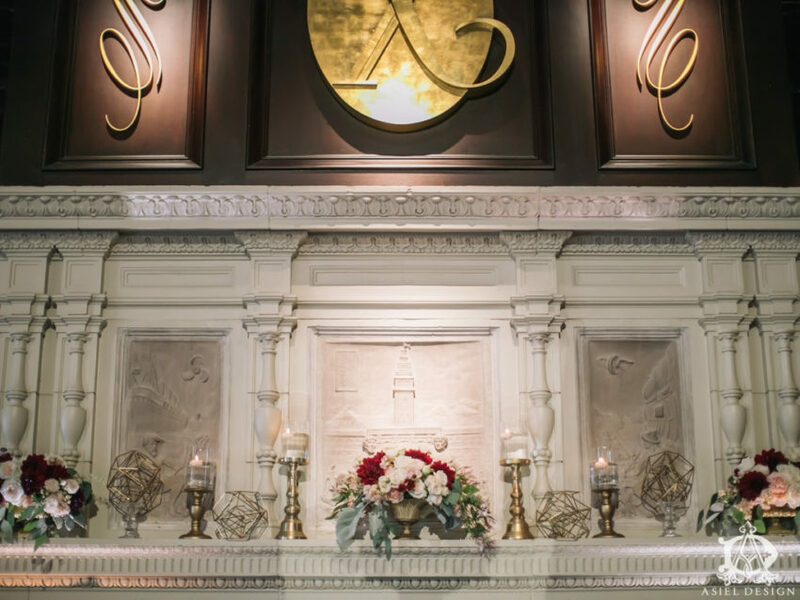 Gatsby Entertainment Group helped perfect the atmosphere with live sound. Of course, partnering with Lillian Phan and the other participating vendors, this showcase was all that we hoped it would be!